Posted on Whiskertips, December 24, 2009, when William and Ernest were still young adults. has been the subject of intense, but not unexpected, conflict. As soon as the tree lit up, so did William and Ernest. William had to be physically restrained from chewing on the lights. The next morning Kathy found the tree lying on its side and the cats out of sight. The tree spent the day en deshabille, as it were. David and Kathy decided Christmas tree needles shouldn’t be allowed in the house. David bought a small artificial tree complete with lights and set it on a chair. William supervised setup and checked for stability. 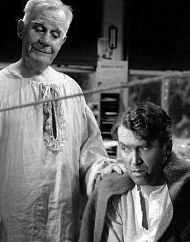 A certain instability was discovered, but William said Ernest was at fault. Since then, however, nothing untoward has occurred. William continues to keep watch. In 2018, gifts still appear Christmas morning immediately before they’re to be opened. but soon became a soft, squishy thing for William to make biscuits on. so William and Ernest get their pictures broadcast worldwide. Christmas Night, and all through the house, one person and two cats are sleeping all snug in their beds, while I’m sitting here watching Apollo 13 and a lava lamp. This is my first lava lamp. I skipped the ’70s. David said it’s his first lava lamp, too. He was present for the ’70s but skipped some of the trappings. The lamp is fascinating: like a kaleidoscope but with fewer colors and curved edges. We had a quiet day, one of our traditional nonstandard Christmases. We opened gifts, ate a light breakfast, and sat around. Then we repaired to Saffron Restaurant, which serves an eclectic mixture of traditional Indian Cuisine punctuated by the flavors of the Himalayas. Goat curry, chicken tikka masala, tandoori chicken, steamed basmati rice, naan… and several things I can’t name because instead of wearing my glasses to the buffet, I left them on the table. After lunch we came back home, plugged in the lava lamp, and waited for it to erupt. It did not disappoint. Of course, we took the obligatory photos of the children with gifts under the traditional nonstandard Christmas tree. Changes in living room geography kept us from giving our real artificial tree center stage, so this morning we moved our ceramic artificial tree to a snow-covered chair and accorded it official status. Facebook reminded me that four years ago, I found these bear foot slippers under the tree. They were the warmest slippers ever. A week later, William sat down and started making biscuits on them. Now they’re called William’s shoes. It’s now past midnight. Christmas Day is over. Time to turn off the lava lamp and sleep snug in my bed and dream of goat curry and naan. Which, come to think of it, would make a fine traditional nonstandard New Year’s Day lunch. Posted on Whiskertips, December 10, 2009, when William and Ernest were young adults. to pick shards out of William’s GI tract. William said he didn’t care. Ernest said he didn’t care either. dragged lights to higher altitude, considered going back to bed. she wouldn’t be sitting here now, thinking about dragging tree to dumpster. It bids us all to share the light. In an Atlanta gift shop, on the last road trip my mother and I took together, I bought a packet of Christmas cards designed by a local artist. 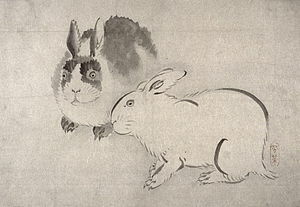 In the background on the front, there was a star; in the foreground, there were three rabbits–brown, white, and black-and-white. The verse above appeared inside. The design was simple, unsentimental, and touching. I used all but one of the cards, and kept that one thinking I might be able to find more. But I couldn’t, and sometime over the past twenty-eight years, the last card disappeared. I hope I’ve quoted the verse exactly. The image above doesn’t duplicate the charm of the original, but perhaps it’s close. I don’t usually post anything without getting permission and crediting the author, but I love the card and it seems a shame not to share. It’s once again time for the North American Aerospace Defense Command’s (NORAD) annual tracking of the flight of Santa Claus from the North Pole to points all over the planet. English: NORAD Tracks Santa logo. (Photo credit: Wikipedia). Public domain. How did NORAD become the official Santa Tracker? The children of Col. Harry Shoup told the story on a recent episode of Morning Edition’s Storycorps on National Public Radio. During the Cold War, the colonel was commander of the Continental Air Defense Command (now NORAD). In case of an attack on the United States, he would have been the first to receive word. Colonel Shoup was at his desk that day in 1955 when NORAD assumed the task of following the progress of Santa’s sleigh. But the new responsibility wasn’t ordered by President Eisenhower or any of the colonel’s military superiors. The job resulted from a typographical error–one little mistake whose happy consequences are still being felt nearly sixty years later. 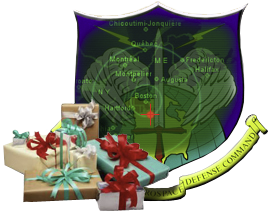 Read–and listen to–Colonel Shoup’s Official seal of the North American Aerospace Defense Command. Storycorps is coming to Austin! “The StoryCorps MobileBooth will be in Austin, TX, January 5 to January 30, 2015. Make a reservation today! “Si desea hacer una reservación en españ ol o necesita más información, por favor llame al 800-850-4406, las 24 horas al día, los 7 días de la semana. Thanks to author Craig Johnson for sharing the link to the story about the NORAD Santa Tracker on his Facebook Author’s page. In an Atlanta gift shop, on the last road trip my mother and I took together, I bought a packet of Christmas cards designed by a local artist. 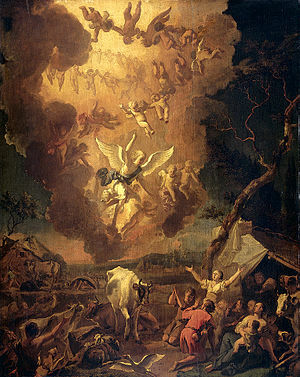 In the background on the front, there was a star; in the foreground, there were three rabbits–brown, white, and black-and-white. The verse above appeared inside. The design was simple, unsentimental, but touching. I sent all of the cards but one, and I kept that thinking I might be able to locate more. But I didn’t find any, and sometime over the past twenty-seven years, the card I saved disappeared. I don’t remember the artist’s name, but I do remember the verse. The drawing above doesn’t duplicate the charm of the original, but perhaps it’s close enough. I’ve searched the web trying to find the name of the artist-poet but have found nothing. If anyone reading this knows the author, or has seen the card I’ve described, please leave a comment. I would like to give proper attribution. I don’t normally post anything without giving credit, but I love the card and it seemed a shame not to share the verse just because I can’t locate the source.